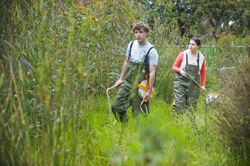 BIO1042 (Environmental Biology) is ideal for students interested in learning more about ecology and environmental science. Changes to, and the degradation of our environment are common concerns and the subject of considerable media attention. 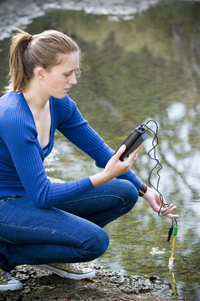 Environmental Biology covers the biosphere and environmental conditions, the adaptations of organisms to environmental stresses such as drought, salinity and fire, and the organization of plants and animals in aquatic, marine and terrestrial ecosystems. This unit also covers environmental genetics, the important role of microbes in the geochemical cycling of elements and the evolution of the Australia's unique biota. Human impacts on the environment, and the effective and responsible management of biological resources are also included in BIO1042. As with other first year Biology units, BIO1042 is structured to encourage self-paced learning, with considerable feedback on written work and other assessment tasks. Work and learn independently and collaboratively while exercising personal, professional and social responsibility that recognises the importance of practicing science sustainably, ethically and safely.